Kara Cox is a fresh young face on the design scene, redefining traditional in homes across the South. 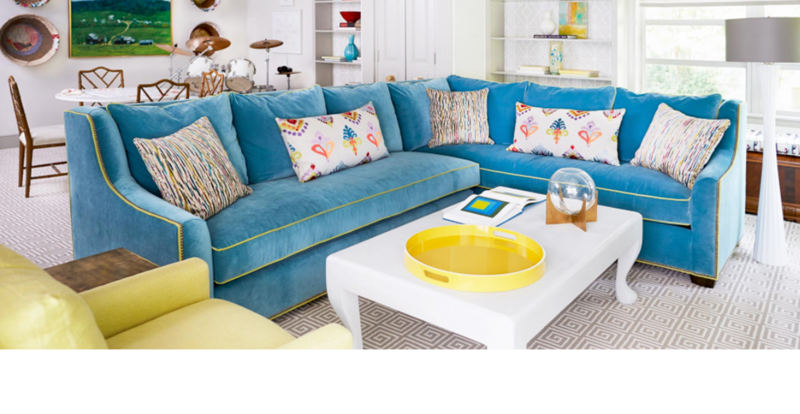 The Greensboro, North Carolina-based designer mixes classic, tailored silhouettes with splashes of bright, fresh color and modern art, and finishes it off with fashionable patterns and dressmaker details for a clean, contemporary finish. I actually began my career in the fashion industry in New York, and when I moved home to North Carolina, I realized I needed to transition into a career with similar skills that had a stronger presence locally. I worked for several years as an editor for a home furnishings magazine and really got an inside look at the industry before deciding to return to school for a design degree and focusing my energies on the creative side of the home furnishings industry with interior design. Right now Instagram is my go-to source of inspiration; it is so visual and so easy to navigate. I love following other designers and shelter magazines to stay on top of their latest work and what is going on all over the design world. My creative process is actually very linear. We spend a lot of time interviewing our clients to make sure we are meeting all of their needs for a space, encompassing both aesthetics and function. I love to begin a scheme for a room around a great piece of art or fabric. 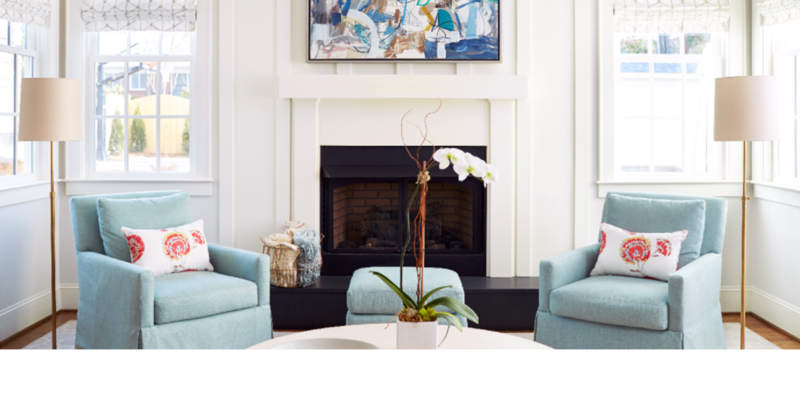 I’m passionate about original art and try to work it into every client project when possible. It’s a great jumping off point for a color palette or to set the tone for a space. Classic interiors for the modern South. Metallic Sharpiesâ€¦they are great for touching up a nicked picture frame or blending in the screws on drapery hardware. I’m a perfectionist, so the details are not overlooked. I’m inspired by so many talented Southern designers. We really love to entertain here and put a lot of effort into our homes; it’s why I think there are so many talented designers in this area of the country. The queen of Southern design for me is Suzanne Kasler; her eye for a tailored, edited space is incredible. I’ve also started working with a lot more vintage furniture and layered color in the last few years, and I love to follow the work of Barrie Benson and Lindsey Coral Harperâ€¦they are both so talented at layering color and patternâ€¦it helps me push outside of my comfort zone. I would design a mountain house for my mom. She has always dreamed of having a getaway in the mountains, and I would love to give her a space that is thoughtful and restorative. She’s given us so much of herself without asking for anything in return for so many years, it would be such a gift to create that sanctuary for her. â€œBuy the best and you only cry once.â€ â€”Miles Redd. Truer words have never been spoken. I’m definitely still a magazine girlâ€¦there’s nothing like getting a new issue in the mail and the excitement of what you will find inside. Getting House Beautiful or Traditional Home in the mail is like a mini-Christmas morning every month. I love the thrill of the huntâ€¦everyone loves to find unique one-of-a-kind items, and when you feel like you’re getting a bargain on those high-quality items, it is even better. I found a beautiful antique tole chandelier for a little girl’s bedroom last monthâ€¦it will set the direction for the entire space.